Natalie Jacobson was a Boston TV anchor. Almost five years after leaving Channel 5, veteran Boston newscaster Natalie Jacobson is coming back to the screen - the computer screen - to help launch an Internet news service in Worcester next month. 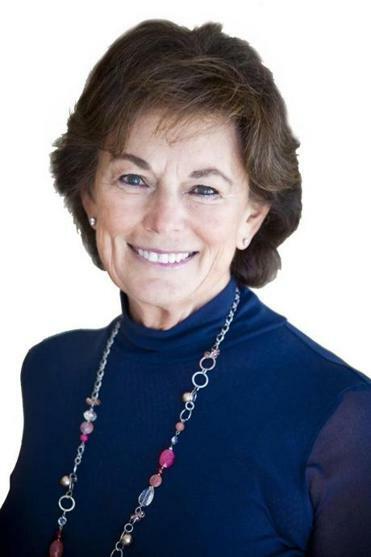 Jacobson will add her marquee name to GoLocalWorcester, the second local news website from Rhode Island start-up GoLocal24, which inaugurated a similar service in Providence in 2010. She will join the site as a senior editor, working on investigative journalism projects with a small group of reporters, and occasionally appearing in front of the camera to conduct interviews. “I’m excited about working in news again,’’ Jacobson said, adding she has so far agreed to work part time on an open-ended basis for GoLocalWorcester. Jacobson, 68, has long been one of the most recognizable faces on Boston television. She became the city’s first female evening news TV anchor in 1976 and spent 35 years at Channel 5 before retiring in 2007. Since then, she has dabbled in her own Internet venture, a website focused on baby boomer issues, she said. That site never got off the ground. GoLocal24 is among a growing number of start-ups trying to capitalize on the growth of the Internet as a source of information. A number of local news sites have emerged nationwide in recent years, including AOL’s Patch, EveryBlock, and Outside.in. The Boston Globe and Boston.com operate a network of 50 local news sites under the name Your Town. The challenge for such start-ups, said Peter Krasilovsky, an analyst who follows online media for BIA/Kelsey in Virginia, is to become a destination not only for local news, but for anyone who goes online to search for a plumber or a pizza parlor. In short, he said, they have to be able to compete with the likes of search and Internet advertising giant Google. GoLocal24 in Providence was founded by Josh Fenton, a former advertising executive who grew up in Providence. His cofounder was Paul Krasinski, a Newton native and executive with Arbitron Inc., and brother of actor John Krasinski of the TV sitcom “The Office.’’ The website employs 10 reporters and a group of freelance contributors. Fenton would not reveal financial information but said the site became profitable after seven months of operation. In December, the company closed a second round of financing from a group of private investors in Boston and the venture firm Angel Street Capital in Providence, he added. “We feel very strongly about what we’ve been able to accomplish in Providence, and we think the model is applicable to Central Massachusetts,’’ he said. Much of that success will depend on its ability to attract advertisers. Fenton said that although Worcester is a smaller media market than Providence, he hopes to do better in the new market since the economy in Massachusetts is doing much better than in Rhode Island. The recruitment of Natalie Jacobson follows a model set by the launch of GoLocal in Providence, where well-known local news talent was hired in the hopes it would boost its audience. John Ghiorse , a meteorologist who had been with NBC 10 in Providence for 26 years before retiring in 2009, now does a daily weather report on GoLocalProv.